Home / Tropical Builders Blog / Selecting the low bidder : The race to the bottom ends with everyone being a loser. 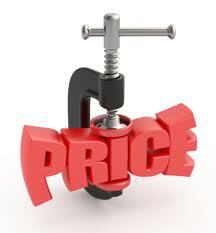 When reviewing bids for your next Custom Home or Remodeling project are you solely focused on price? When it comes to the lowest price the race to the bottom ends with everyone being a loser. The Contractor that does not get the job loses. The one that gets the contract can’t do the job properly because they have to skimp on labor and material. Finally, the Homeowner loses because, as the saying goes, you get what you pay for. When contractor try to get low bid work they must keep their cost as low as possible to try and be profitable. They hire poorly trained labor, and then do not invest the time or money to properly train or keep them up to date with current codes and requirements. They are forced to use low quality materials to meet certain price points. They do the least amount of work possible and cut corners where they think they can. This is not a way to run a business, but unfortunately there are numerous companies out their that operate in this manner. At Tropical Builders we feel that it is our duty to educate our potential clients on what you are getting for your money so that you are able to make an informed decision for your project. This way we can both finish the project on top.